Each and every ABI holiday home is made right here in Britain, at our factory in Beverley. 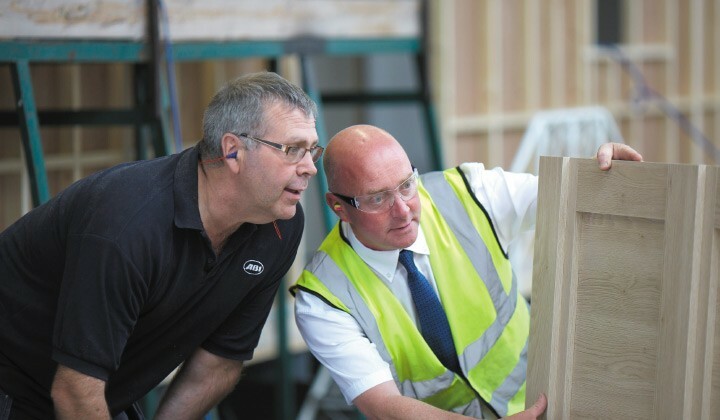 From our factory in East Yorkshire, we work as one big team, carefully and painstakingly building the perfect holiday homes. Our collective experience is what really sets us apart, with many of our 300-strong workforce having been with us for over 20 years. Our team are experts in what they do and they know all of the little things that make a really big difference to you. We take a hands-on, sleeves-rolled-up approach to building our holiday homes and it’s fair to say we’re our own biggest critics. So we are never quick to launch a new range or shout about any improvement to our designs until we’ve tested them and are completely happy. Put simply, our talented team go to extraordinary lengths to make sure the ABI name is seen as a Kitemark in quality standards and superior service.